Our ballroom dance classes are held in a number of centrally located studios in London for both the weekends and weekday evenings. 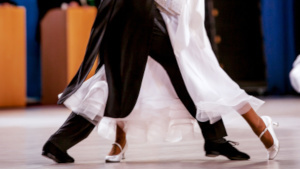 Our friendly team of professional and experienced ballroom dance teachers are there to make your ballroom dancing classes fun and will break down all the steps and so in no time will have you dancing with confidence. Not only taking ballroom dance lessons is a fun activity useful for social events and special occasions but it is also a form of expression as well as a very good exercise and a way to interact with people. Couples, as well as singles, are welcome to join our ballroom dancing lessons. Click on the type of class you are interested in to find out more details and book online. Ideal for absolute beginners to dance. 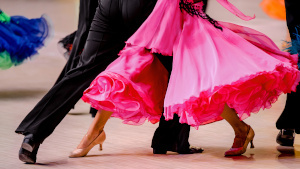 Learn the Waltz, Tango, Cha-cha and Jive from scratch. Follows on from our Level 1 courses. Expands the repertoire of steps and works on improving form and confidence on the dance floor. For those with good foundations in both Ballroom & Latin looking to improve their technique, styling, and variety of steps and sequences.